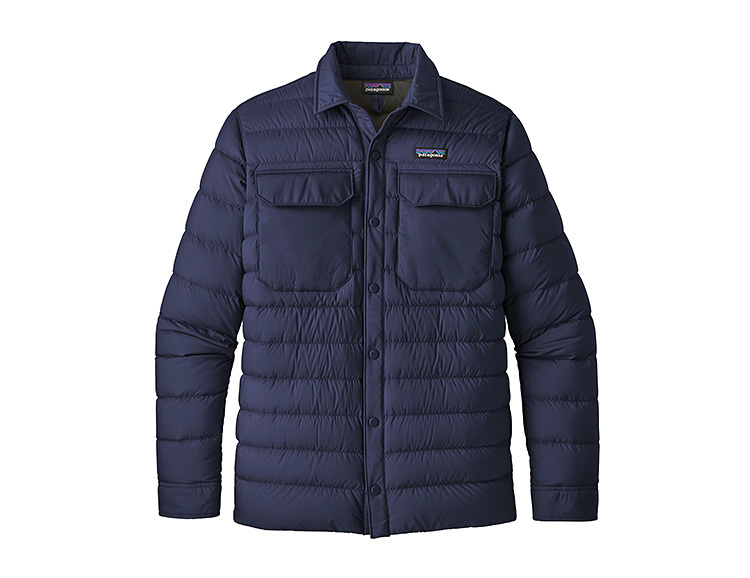 Made of 70% recycled materials: polyester & taffeta with mechanical stretch plus a water-repellent DWR finish, Patagonia’s snap-front Silent Down Shirt is a versatile winter layer insulated with 700-fill-power 100% Recycled Down, which is duck and goose down up-cycled from old down products. It’s got 2 chest pockets and hand warmer pockets on the sides. Available in 5 cool colors.